Puns aside, another important thing we have in common is our love for London. Which is why we’ve dedicated our site to the best cocktails this fascinating city has to offer. 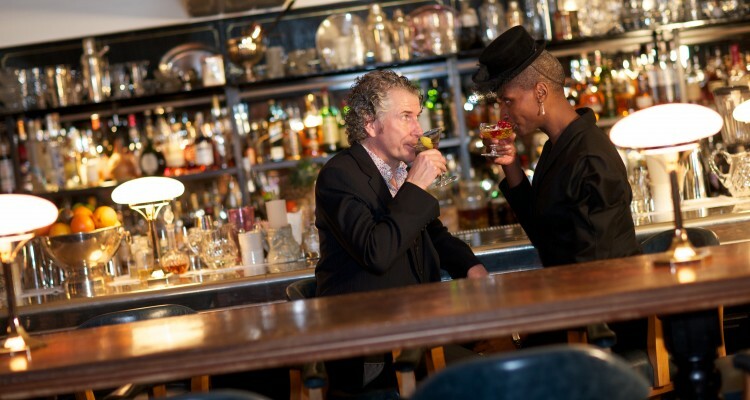 As well as taking in old-school faves, twisted classics, molecular mixology and all manner of spiritual mash-ups, we arrange a variety of bespoke events and talk to the people, visit the places and drink the drinks that make London one of the most exciting and innovative cocktail capitals in the world. We’re passionate about our drinks and we’re assuming, if you’ve found us, you probably are, too. Join our Cocktail Lovers club to hear news, views and reviews on the latest bar openings, who’s shaking what, where and a wondrous selection of easy-to-follow recipes to mix up at home. We’ll also be running competitions and special offers on a regular basis, so make sure you sign up for our newsletter. But there’s more to us than that. We have a fantastic little black book filled to bursting with the people, places and products to put the ‘F’ into fun to arrange your perfect party, event or cocktail masterclass, either on a private or corporate basis. Please drop us a line to find out more. Reproduction in whole or part of The Cocktail Lovers site without prior permission from the editors is strictly prohibited.